Quite possibly the most exciting, fun packed, educational and challenging experience you can have on land. If you just want to reward yourself, friends or staff, maybe clients with an exciting, relaxing and enjoyable day out, then we´re happy to oblige - we´ll put the emphasis on fun! Whatever your requirement, we´ll provide the kind of day that will end with a beaming smile on your face. After all, if it was serious fun you wanted, it´s serious fun you´ll get. A day to be remembered - loyalties strengthened, experiences shared and teams built. But there again, what else would you expect from Land Rover Experience? Choose from the iconic Land Rover Defender, the fantastic Discovery 4 or the flamboyantly versatile Range Rovers - Introducing the New Range Rover Evoque. Our corporate programmes are designed in close liaison with clients to ensure maximum effectiveness and we can tailor-make a programme that provides a level of challenge that stretches participants to their limit and then up a level. Maybe a company team building, motivation, leadership event, or simply want to reward your staff, it could be to entertain key clients. Land Rover Experience West Country can offer you a unique solution, which delivers an exceptional and diverse range of high quality entertainment or challenge based activities, you can choose from our comprehensive portfolio or Go Beyond for a bespoke programme. 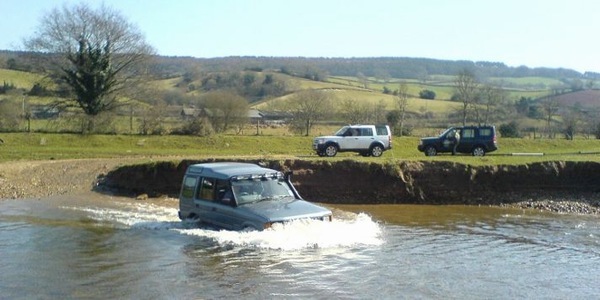 The Land Rover Experience West Country centre was the first Regional Experience to be officially opened in the UK. The centre is surrounded by 135 acres of private access ground including its 35 acre off road course. The centre is familiar with holding events for small to large groups with businesses and organisations using the many facilities provided. Amongst the comprehensive range of offerings available are our exclusive conference and meeting facilities. Providing a high-quality, professional environment for board meetings, conferences, seminars or training sessions. Our highly-qualified instructors, together with the support of an excellent customer services and admin staff, ensure that we offer the very best in off-road driving instruction, corporate events, team building, conferences and additional activities.